Wendy is a trained sculptor, designer and dressmaker. From an early age she has been a “maker” with her first skills taught to her as a child by her Merchant seaman grandfather to knit all her own dolls clothes. She qualified as an art teacher specialising in sculpture, design and textiles. Fashion and creativity are in her blood but when it came to choosing a career Wendy opted to teach being “a sensible and practical offering that paid the bills”. Specialising as a teacher in Art, craft and design Wendy spent 30 years in Australia and Asia honing all the above skills. 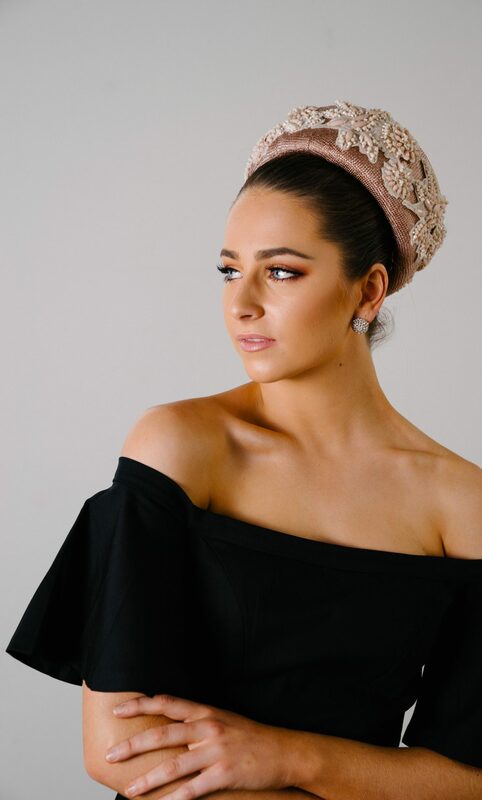 In 2010 Wendy moved to Melbourne which allowed her to, for the first time in her career, hone the culmination of her skills into one focused area, namely hat making and specifically, Millinery (hats and fascinators for Women). Wendy commenced full time millinery in 2010 when she moved to Melbourne and became a full member of the Millinery Association of Australia. From her humble early steps in the Millinery world she has built a thriving business with her own Atelier in the heart of Melbourne’s CBD in Howey Place. She is the only Milliner in the Melbourne CBD with a ground floor retail/workshop Millinery Atelier. Wendy is a true Milliner, not simply a designer. She believes every customer wants to feel special and buying a hat or fascinator is one of the most personal accessories a woman will purchase. Accordingly, every hat made, displayed on this site and in Wendy’s Atelier is designed, crafted and hand made by Wendy. Each piece is unique and individual. No piece is ever copied! This ensures you will have your own personal individual hat that will not be seen anywhere else in the World.